I really liked Routh and SR (even if it was a little boring at parts). And everything I've heard about Justice League makes it sound like a total joke. I'm not even gonna bother with having to deal with Warner Bros' third Superman since 2000. Third? Who's the non-Routh, non-Justice League Superman? Well, I was counting Tom Welling. If only because I still have to keep explaining to half of my friends that the Superman movies aren't related to Smallville. New Zealand based effects shop Weta, who earned mainstream cred by FX'ing The LotR trilogy, is on tap to produce costumes for the upcoming JLA film. They may also do visual effects but that isn't final (I'm guessing yeah). Post-Prod is under way though the entire project is delayed because of that strike thing. I know this back and forth is getting annoying but appearently Bryan Singer may return to Superman afterall... maybe. His reps say he's still attached to the sequel. But there are still murmurs going on about the new direction of the Superman franchise (based on the JLA Film universe). So its like this from what I read: If Singer returns, so does Brandon Routh; if Singer splits, the next Superman will be a JLA spin-off sans Routh. DC's movie branch is a mess right now (no offense to TDK, which will own). Green Lantern, Green Arrow, and others of the Justice League of America, an organization made up of the world's greatest superheroes must deal with the expulsion of Batman and the death of Superman at the hands of the monstrous Doomsday. A slick move that not only touches on real events in DC's mythology, but keeps continuity issues regarding Bale and Routh being replaced by kids. So as it stands; I like the idea, if only because an eventual sequel could deal with the Return of Superman and Batman played by their respective actors. Now there will be a slight production delay to go with the new story, as filming will now begin in 2010 rather than this year (odd). Many of the actors attached have found other jobs for the year, so they can't do anything with JLA now (for some reason I don't believe that story). It's amazing to me how DC can manage to so consistantly get the Batman franchise done well and done right but fails horribely at most others. Wow, I'm not usually a fan of anime, but I can't wait for that. New Frontier is also coming out on the 26th, I believe. Can't wait for that one either. Kevin Conroy, and not Christian Bale is doing the voice work for the Batman Anime. That looks pretty damn cool. It's nice to see that even if 90% of their movies have been derailed by the strike, DC is still putting out some quality stuff with their animated department. Bryan Singer is in the early developments of the next Superman film, which promises to "up the threat levels" now that the characters are established. I'm just getting back with writers after the strike. We're just in the development phase. I'm starting to develop a sequel...with the intention of directing it. The new writing team will be the white hot duo of Roberto Orci & Alex Kurtzman [Transformers, Star Trek]. Whatever Singer, just get it out before JLA ruins everything good on Earth. About time we got confirmation on that. It'll be nice to still have a Superman I don't utterly loathe. Not even a few months after the surprisingly alright The Batman series ends it's run we already have a new animated Batman series... But... Well... ...Just don't shoot the messenger. Cartoon Network will host this new series that envokes the mood, look, and camp of the Super Friends era. Batman will join other heroes on a regular like Green Arrow (in his Golden Age rags) and Blue Beetle (the new Blue Beetle, not Ted Kord). 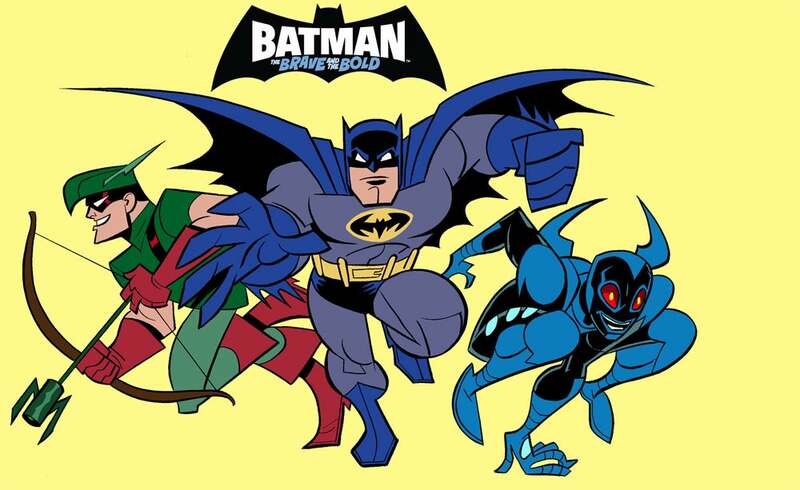 My brain's still trying to work out seeing Golden Age Ollie, Silver Age Bats, and Modern Age Beetle in one picture. I'm usually pretty open about different takes on properties I grew up with, and I understand the DCAU we all grew up loving will never return. But really... Are they serious with this? I won't judge too harshly just yet. As I said The Batman gained some steam in it's final season and I hear 'Legion isn't the crapshoot it seemed to be when it was first revealed. So I'll wait and see. EDIT: That Ollie is infact Silver Age as well. Last edited by Kalyx triaD; 04-04-2008 at 02:19 PM. If Brave and the Bold was being done in Justice League Unlimited style (But with just two heroes per show, and one not necessarily always Batman) I'd watch it. I probably won't watch this one. I'll reserve my judgement til I see some more, but what a weird line-up. If they're gonna do classic BatB pairings, it oughta at least be Ollie and Hal. Last edited by Nowhere Man; 04-05-2008 at 05:28 AM. Looks like Miller has gone and changed The Spirit into Sin City. Which is kinda lame. I just hope he doesn't start going around yelling "I'm the Goddamn Spirit!" at people. But this is supposed to be The Spirit. It just doesn't match the tone or... the spirit... of The Spirit at all. What, you're surprised? Sin City is pretty much all Frank Miller can do. Also, the line "she is my mother, she is my lover" sounds like the guy's got a serious Oedipus complex. Last edited by Nowhere Man; 04-22-2008 at 03:43 PM. Why don't they make alive action batman show that's serious? I mean you'd think with all the csi and stuff they'd have a pretty good market for it. I rather see a live action Nightwing series. It could take place right after he says "screw you" to Bruce and leaves for Bludhaven. The openning scene could be him tossing the Robin costume down a river. For a different idea, I'd like to see a Gotham Central tv series. I'd focus that on Renee Montoya. Add some Jim Gordon too. Michael Rosenbaum, voice of DCAU's Flash and Smallville's Lex Luthor is officially done with the latter. He won't be appearing in Season 8, not regularly anyway. He'll most likely head up cameo's in any case. Now the new contenders for Smallville's baddies are already announced; Doomsday and a female villain. If you didn't know Smallville is a seperate continuity from other Supe's universes now you do. Casting for the one who famously killed Superman is underway. Then there's the new female villain who will be as troublesome for Clark as she is attracted. I'm gonna say Thalia for now. I won't see any of this action for years now anyway since I skipped the last few years of 'Ville. I got alot of DVD catch up to do... years worth. But I'm game. A while back someone mentioned how Gotham Central would make a good TV show. Well lo and behold WB was this close to actually doing a show! But the reception Birds of Prey recieved way back shot down any other Gotham themed TV show (rats). They should totally go for it. A CSI-like show based in Gotham City would own. Brandon Routh speaks on a number of subjects, including the next Superman and the darker half of the World's Finest. I expect that we'll be working early next year. I know that Bryan [Singer] has pretty much finished out "Valkyrie" and is back in the states and is zeroing in on the story that he wants to tell. Once that arrives it's going to move pretty quickly. I think that everybody is getting excited. It's been three years now, really. It's hard to believe that it's been long, but everyone is getting jazzed and ready to go again. I certainly am. They talked to me about it, yes, but I think someone else asked me if they ever offered me the role and they did not. I'm happy that we're talking about "Man of Steel" again and "Batman" looks great and is coming out and that looks great and I think it's time for those two characters, certainly, to flourish and some of the DC Comic Universe to strike out on their own first and strengthen each character individually and then to go at all of them together. I've been asked that question many times and at first, I think I've been quoted as saying that Superman and Batman should never fight each other which makes sense to me. They should be fighting together on the same team, but Christian is certainly a great actor and a very nice guy. 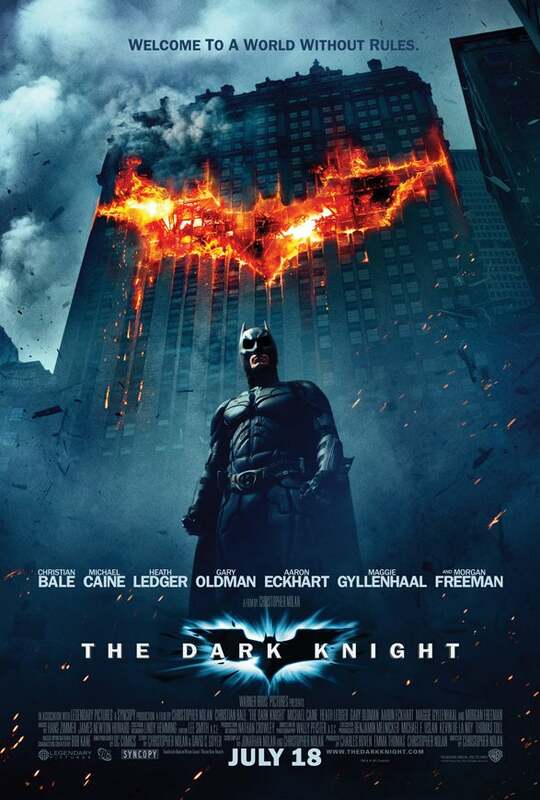 I'm excited for the new "Batman." So I'll open up my view because I know that people want to see it and maybe there's a story that could be told that way that makes sense to me. So I won't put it out anymore. I won't say no anymore. I wouldn't mind Justice League if The World's Finest gets their own movie. Well, it's a challenging thing because it's very important for me to make my own name and to separate myself from Chris and his performance a little bit and who he was a little bit, so that I can make Brandon Routh known and be in everyone's awareness. But certainly he did a lot of amazing things and I so I take what I can and I try to spread his good word and all the goodness that did and his family is really doing an amazing job. His kids are continuing his legacy especially with the foundation. They're really great people and I'm excited and very proud to know them now. I do what I can to help them and the foundation to raise awareness. Yes, lesser known in the States, but probably more known in Italy and a lot of European countries. I'm very excited about the production of that. It's a movie called "Dead of Night." It's about Dylan who's a nightmare investigator and primarily in this film we're going to be involved with zombies and werewolves and vampires and some activity that occurs there creating comedy, action, horror and the thrills ensue. Just my two cents here, but it seems with so people speculating a Superman Sequel, a Batman/Superman film, and a Justice League film, along with obviously the Dark Knight, does DC actually do anything other than Batman and Superman? I know Watchmen is being made into a film, but for real... when are DC gonna blow us away with news of a Green Lantern movie? Or a Wonder Woman film? You can argue how good all the films are, but Marvel has spoilt us with films these last 10 years, releasing movies for pretty much all their major characters. It also seems that every DC animated program is Batman and Superman. Hell, even the Justice League cartoon (which I really liked) was always Bats and Supes. I'd love to see a Nightwing movie... but that'll probably never happen. And if it did, half the movie would probably be him expressing the fact that he use to be Batman's sidekick. My post also relates to a post someone made in another comic thread somewhere. They said how DC doesn't seem to have as much faith in their lesser characters as Marvel does. Whereas Marvel have faith in all their characters, most of what DC does features around Batman and Superman. DC has been lacking in the movie department. I believe alot of it has to do with arrogance on their part. I mean c'mon, Superman Returns makes 400mil and that's a disappointment to WB? What did they expect? They're trying to make the next Spidey 2/X2 and that stalls them to a degree. Marvel on the other hand promises two movies a year, crap or not. And you know what, their insistance on releasing so many movies in so little time has become their strength. Not only does Marvel have more characters on screen, the characters themselves have movie series. Spidey and Blade already have their Trilogy, DD and Elektra are connected, there's already talk of Iron Man 2 and we're seeing the second Hulk film in so many years. DC needs to pick up the pace and get down on Teen Titans, Super Max, and Wonder Woman. Talk is cheap. Justice League will be a joke, but a fun joke that might be worth a DVD purchase if they get to work. Exactly. You're also forgetting 2 Fantastic Four Movies and 3 X-Men movies. Personally I've enjoyed all the Marvel movies, and the DC ones for that matter (except Catwoman). Even Elektra was watchable. But because Marvel are releasing so many, it keeps interest in the comics going. With DC only doing Batman and Superman it's like "well why should I care about Green Arrow/Red Tornado/Blue Beetle etc?". Green Lantern has trilogy potential written all over it.